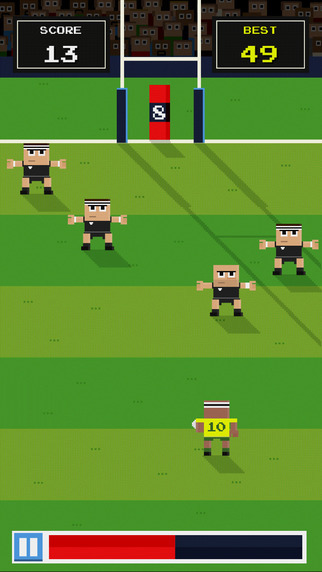 Developed by Twentysix Digital, Retro Rugby is a new game for iPhone in 8-bit style with blocky-characters and nostalgic midi tunes. 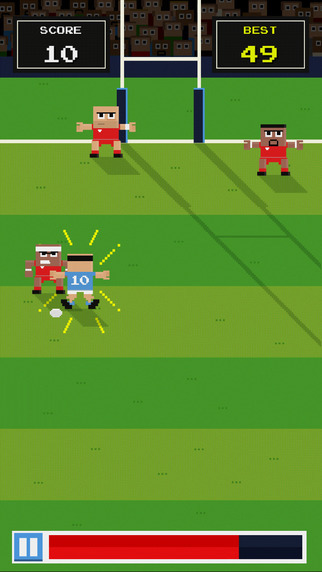 Retro Rugby is a simple game of ‘get a try’. The gameplay mechanic is straightforward, just swipe a path for your player to reach the try-line. It’s not that easy though, as you are quickly introduced to obstacles and defending players who get in the way. Your path to the try-line starts out as a straight line but quickly become a series of more complex manoeuvres. The player is offered a tutorial when you first start up Retro Rugby which is a nice and quick introduction to the game. The controls are minimalist (just touch and swipe), so it’s easy to jump straight in to play. 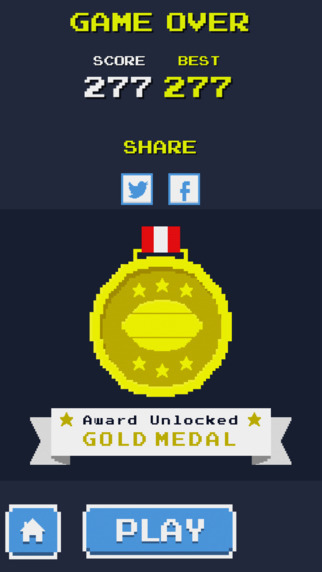 There are no ‘levels’, just a single game with increasingly difficult set-pieces to tackle, with a time-limit indicated by the red bar at the bottom of the screen. The difficulty I found during play was that the controls seemed somewhat insensitive and it felt near-impossible to dodge the defenders, making it very hard to advance through the game. In addition to the gameplay itself, Retro Rugby offers up the ability to change the colours of the attacking team’s strip and has a lot of in-game statistics on games played, longest game, time played etc as well as the ability to share your stats via facebook. 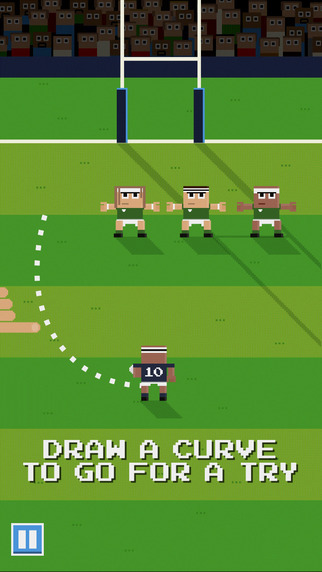 A straightforward but challenging game, Retro Rugby is available now for download on the App Store (free). Retro Rugby requires iOS 6.0 or later. Compatible with iPhone, iPad, and iPod touch.